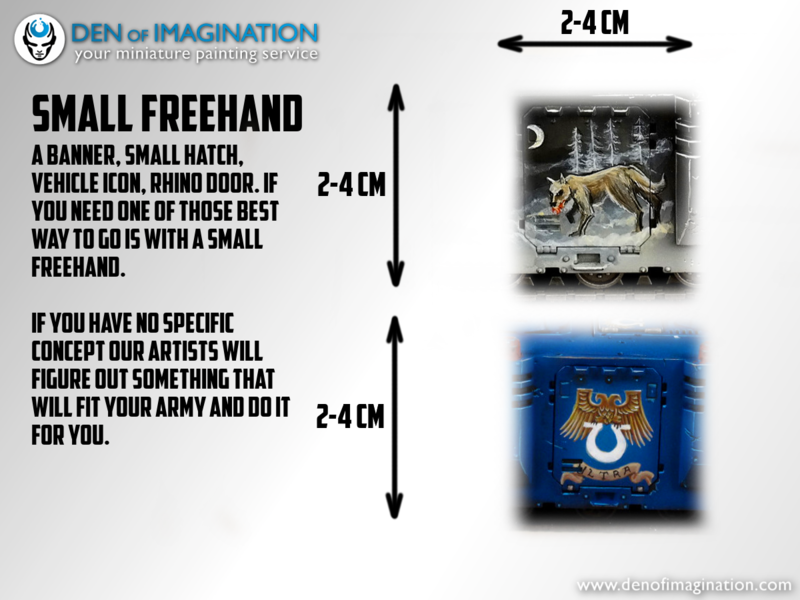 Our artists are a very talented bunch and painting awesome freehands on your models is one of the favorite thing they like to do. 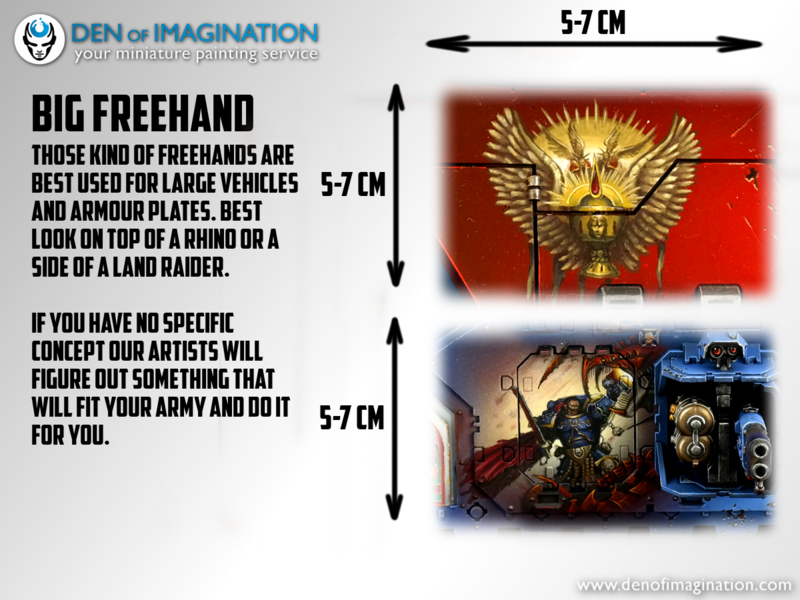 So if you have some surfaces on your models that need that extra love consider ordering a freehand service. The opponents will love it, your family will enjoy it and you will proudly display your army. You know its work it. You can find a mode detailed description below and a price tab as well.